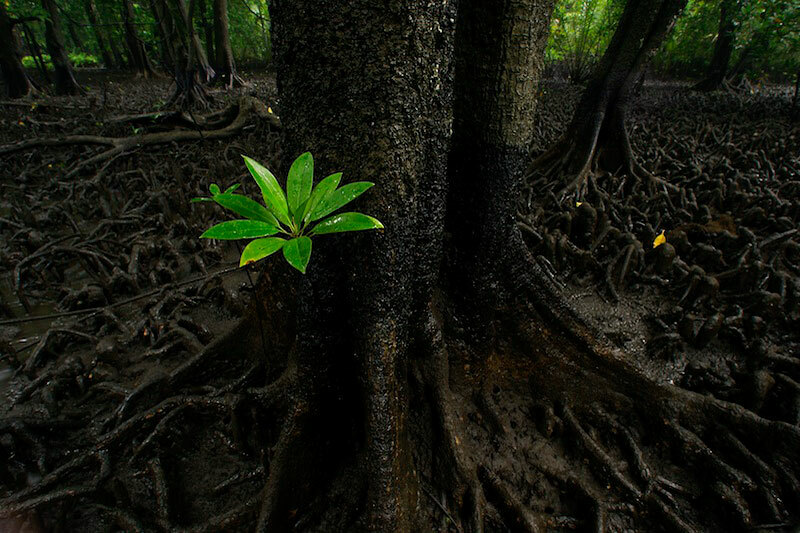 A single seedling of a Red Mangrove grows next to the trunk of a Bruguiera mangrove. A single seedling of a Red Mangrove with bright green leaves grows next to the trunk of a Bruguiera mangrove. Knee-like roots of Bruguiera mangroves cover the ground at low tide along a mangrove lined river.